Join KyMBA and HMBA volunteers as we build new features and maintain the trails at O’ Bannon! Find more info on the O’ Bannon Woods Mountain Biking facebook page. Posted on March 8, 2018, in News. Bookmark the permalink. 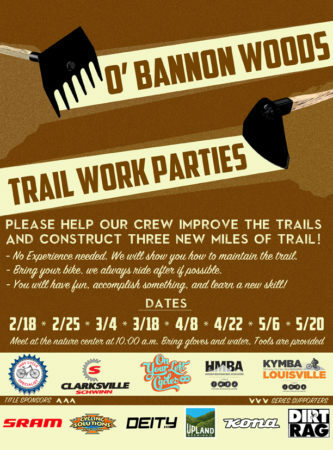 Comments Off on O’ Bannon Trail Work Parties.